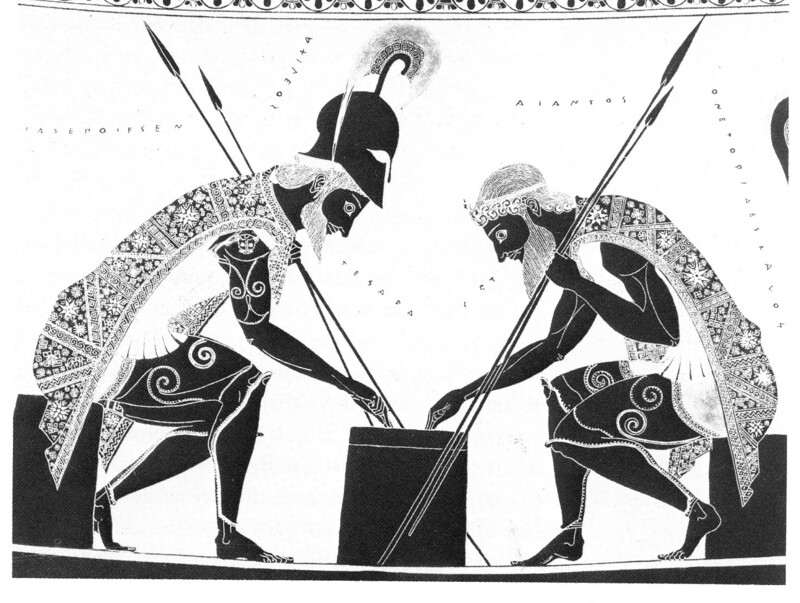 Mycenea - An Excerpt from "A Peerless Peer"
One of Sparta’s often overlooked diplomatic victories was prying Mycenae and Tyrens out of Argos’ sphere of influence and into her own. Little is known about this diplomatic success beyond the fact that it followed the Spartan victory at Sepeia and lasted through Leonidas’ deployment to Thermopylae. 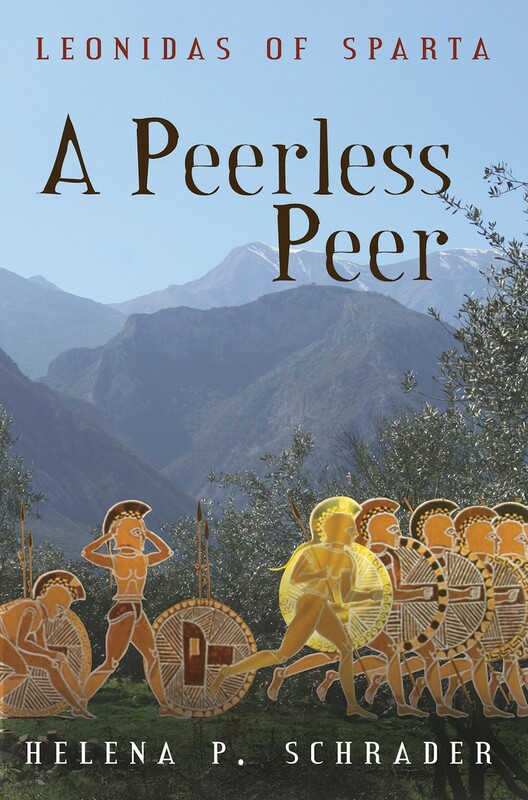 In my novel “A Peerless Peer” I provide a plausible scenario of how and why Mycenae was -- under Leonidas’ reign -- a Spartan ally. Mycenae. Agamemnon’s city. It crowned a hill that nestled against the backdrop of the majestic peaks of Mount Zara and Profitis Ilias. Deep ravines encased it, and the natural slopes leading up to the sheer walls were steep and treacherous. Mycenae, “rich in gold,” was also a nearly impregnable citadel. Leonidas hadn’t a clue what form of government this obscure, secondary city had, except that it was unlikely to be a monarchy. He presumed it was also less democratic than Athens, and that made it an oligarchy of some sort. At all events, he was facing ten old men. “I am the commanding officer of the Lacedaemonian army surrounding this city. My orders are to subdue the Argolid and render it incapable of threatening us for another generation. 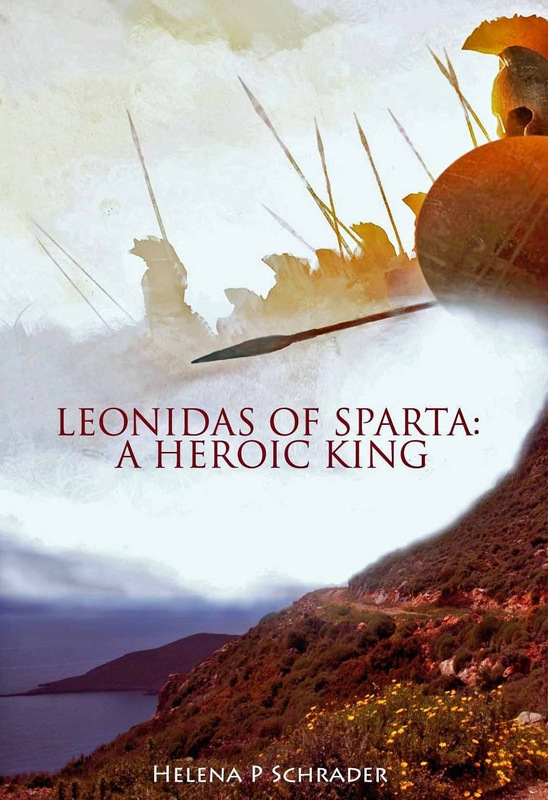 Those orders could be interpreted to mean I should seize and raze Mycenae.” Leonidas was watching the faces of the men opposite him very carefully. He had the impression he was not telling them anything they didn’t already know. They, too, had spies. “So why are you here, Spartan? Do you want us to surrender our freedom without a fight?” The man who said this was trembling slightly as he spoke. Leonidas considered him. He was not trembling from fear. Possibly it was just a frailty of age—or the power of his emotions. His eyes were milky with cataracts, but he sat very straight, wrapped in a soft woolen himation with a wide border of mythical beasts in rusts and greens. “Argos takes from us one-third of our olive-oil harvest, one-fourth of our wine, 100 head of cattle, 200 sheep, and 166 goats each year—and it led 116 of our finest young men to their deaths at Sepeia.” That did not sound like a declaration of loyalty. “You call that freedom?” Leonidas asked. “We don’t require tribute,” Leonidas reminded him. “Just obedience. To follow wherever your kings lead.” Yet another member of the council spoke up. The Mycenaeans exchanged glances and then put their heads together, to whisper among themselves. One cut the others short and asked the Spartans to step out into the street while they discussed the proposal. “That you break with Argos and join our allies, yes,” Leonidas clarified. “You were wrong.” Leonidas insisted. “I am Leonidas, son of Anaxandridas, brother of Cleomenes. I am a direct descendant of Herakles through my father and my mother both. My word is good. And I give it to you.” It frightened Leonidas a little to realize how much he enjoyed saying that—and it surprised him even more how effective it was. Clausewitz claimed that war was diplomacy by other means. This may explain why Sparta, popularly known as a militaristic society, was in fact a city with a long history of effective diplomacy and high regard for the diplomatic profession. Sparta founded the first non-aggression pact in recorded history when it stopped seeking to conquer its neighbors but sought defensive alliances with them instead. 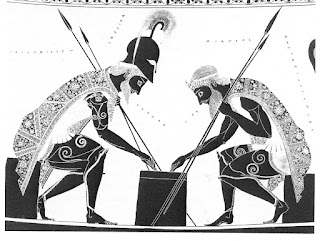 A series of bilateral treaties evolved into what became known as the Peloponnesian League. While initially this organization was an instrument of Spartan hegemony, which required Sparta's allies to follow her lead, in or about 500 BC the allies successfully asserted their power and effectively converted the League into an alliance in which every member - including Sparta - had an equal vote. Sparta’s diplomatic history started early. According to Herodotus, for example, Sparta sent an envoy to the Persian court in mid-6th Century, long before the Persians had become interested in Greece. Allegedly, the Spartan envoy warned the Great King against enslaving Hellenes - which prompted the bewildered master of the Eastern world to ask who (in the hell) the Spartans were? The Spartans also maintained a temple dedicated to Talthybius, the herald of Agamemnon. It was here that eerie lights and strange noises were allegedly seen and heard after the murder of the Persian ambassadors sent to obtain earth and water in 491. Eventually, the Spartans became so concerned about arousing the wrath of the gods by breaching the diplomatic immunity of the Persian ambassadors they sent two men as sacrifices to Xerxes to atone for the murdered ambassadors. Both men were volunteers and Spartiates of good family, Sperchias and Bulles. Although usually dismissed as simply “natural,” the fact that Sparta forged an alliance together with Athens, Corinth, Aegina, (all hated rivals of one another!) and other lesser cities to oppose the Persian invasion of 480 is also a brilliant Spartan diplomatic achievement. I say Spartan, because the election of Sparta to lead on land and sea suggested that Athens would not have been able to hold this alliance together without Spartan influence. Arguably, it was Leonidas’ ability to put together a “coalition of the willing” to fight against Xerxes, more than his untimely death at Thermopylae, that was his greatest legacy. Notably, some of Sparta’s best commanders were also excellent diplomats. Brasidas comes to mind as a man, whose greatest power came not from the strength of his arms, but his ability to win over allies and detach cities from the Delian League. Likewise Sparta’s success in Syracuse was certainly not a military success, no Spartan hoplites were in action at any time. It was, however, an enormous diplomatic success that had severely weakened Athens strength and morale. The weaker Sparta became, the important it was for Sparta to forge alliances and out-wit rather than out-fight her enemies. It may be an indication of weakness, but it was nevertheless a diplomatic coup that Sparta was one of the first city-states in Greece to forge an alliance with a rising Rome, for example. All in all, Sparta's diplomatic culture deserves much more attention and research. A comprehensive work on Spartan diplomacy from the Archaic to the Roman Periods would be a welcome addition to existing scholarly literature.